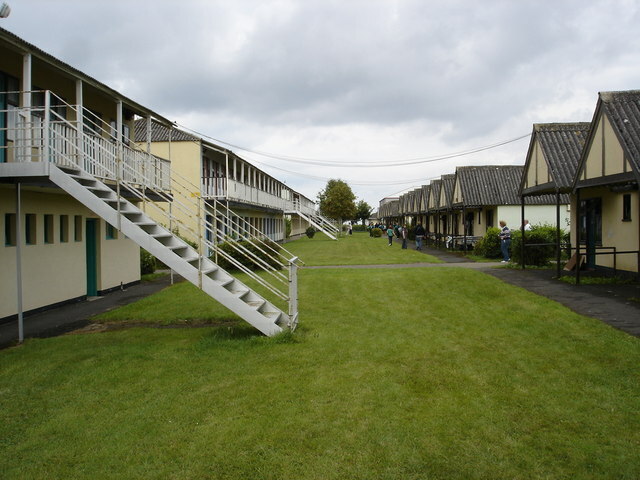 The first Butlin's camp to be built outside of mainland Britain, the Mosney site was opened in 1948. Occupying some 200 acres of a former country estate, the camp was located on the east coast of Ireland, about 25 miles north of Dublin and adjacent to the main railway line to Belfast. Although occupying a large site, the area covered by the buildings was relatively small when compared to its British counterparts. Upon opening, The Catholic Standard newspaper stated that: "Holiday camps are an English idea and are alien and undesirable in an Irish Catholic country . . . outside influences are bad and dangerous." Billy Butlin built a Catholic Church to placate the hierarchy. There seemed to be some games involving lots of children, and a funfair when we happened to pass through. This page has been viewed about 537 times.